Dash 7 HB-IVX seen parked in Geneva wearing Tassili Airlines (Algeria) titles. Dash 7 HB-IVY was previously carrying larger titles in English. Dash 7 HB-IVX seen landing on runway 23 after a check flight. Dash 7 HB-IVX seen pushed out of the hangar with Swiss registration freshly applied. Dash 7 C-GLOL of Voyageur Airways was still wearing Maverick colors of the United States when it visited Geneva on a Benavia flight. Dash 7 C-GFOF, in basic Voyageur Airways colors visited Geneva only one time in 1999. Still wearing National Aviation (Egypt) tail logo, Dash 7 VP-CDZ (future HB-IVX) is seen taking off from Geneva. 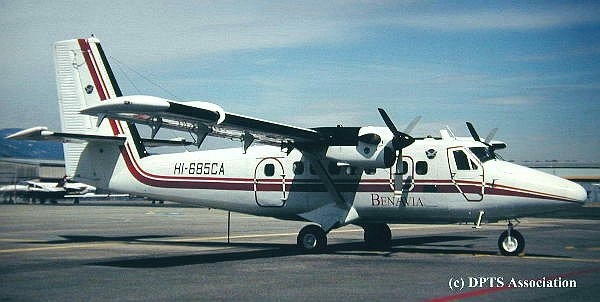 Dash 6 Twin Otter HI-685CA was the very first aircraft of Benavia to arrive in Geneva. 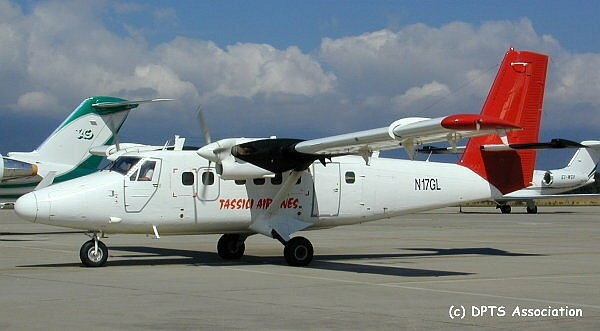 Dash 6 Twin Otter N17GL was one of three aircraft of the type operated by Benavia on behalf of Tassili Airlines. 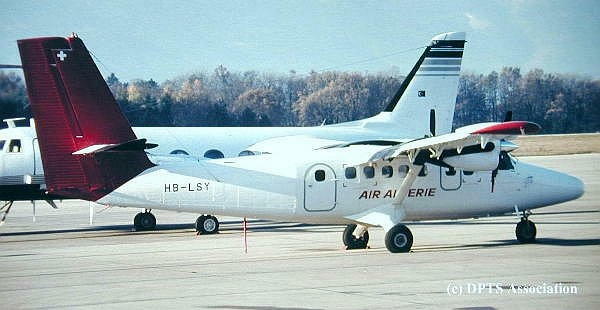 Dash 6 Twin Otter HB-LSY was operated by Benavia on behalf of fellow Algerian carrier Air Algérie. 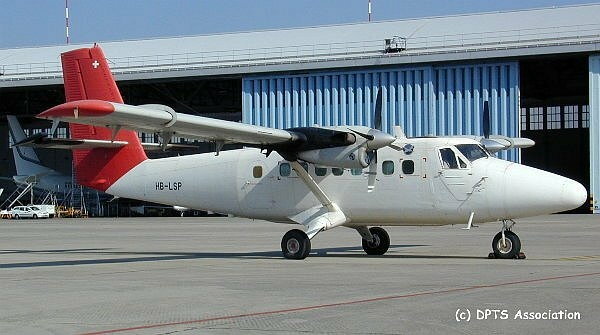 Another Twin Otter of Benavia (HB-LSP) in the original colors of the airline. Shortly delivered to the carrier, Dash 6 HB-LSP wore an all white colors devoid of any titles. 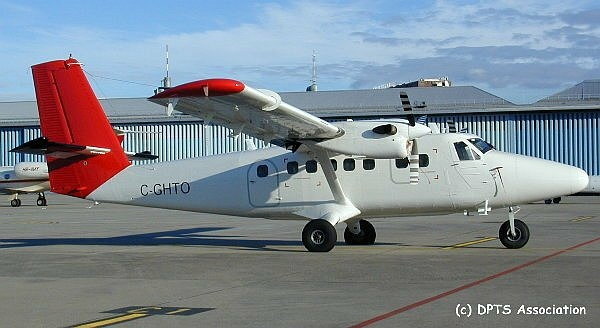 Twin Otter C-GHTO is seen pictured shortly after it was repainted in the company colors. The aircraft previously flew with Sudan Airways on contract for the Unicef. 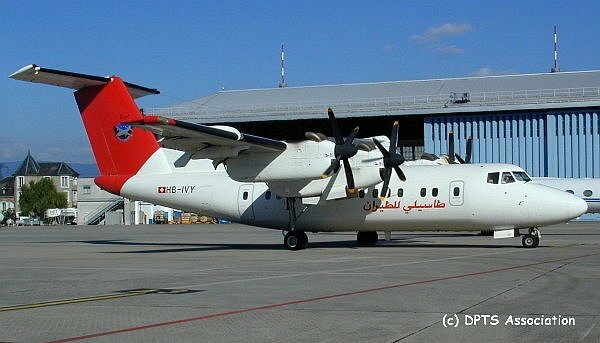 Dash 7 HB-IVY is also regularly operating for Tassili Airlines and it is seen parked in Geneva wearing larger arabic titles.